Attract Hedgehogs to Your Garden | How to Make a Hedgehog Happy! 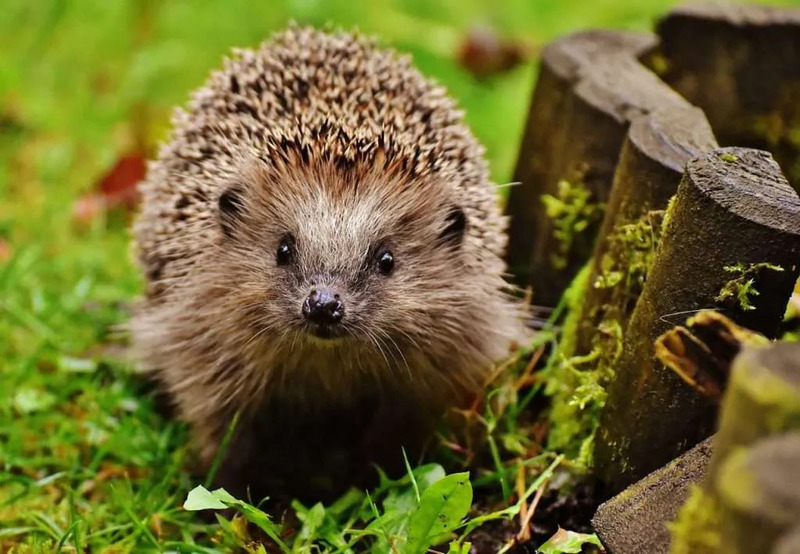 Not only are hedgehogs cute, but they are beneficial animals. These nocturnal hunters are natural enemies of slugs and snails. 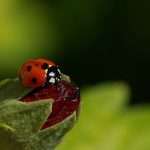 It makes a lot of sense, therefore, to provide a habitat for these lovely animals. If you can coax a hedgehog family into your garden, you can be sure they’ll be valuable allies in the fight against slugs. 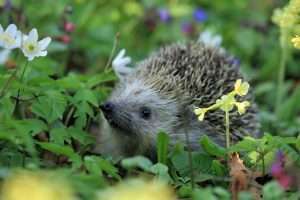 This article will show you what you can do to make your garden hedgehog-friendly. Hedgehogs are welcome in the garden. 1 Do Hedgehogs Eat Even Slimy (Spanish) Slugs? 2 What Can You Do for Hedgehogs? 3 Is It Okay to Feed Hedgehogs? Do Hedgehogs Eat Even Slimy (Spanish) Slugs? 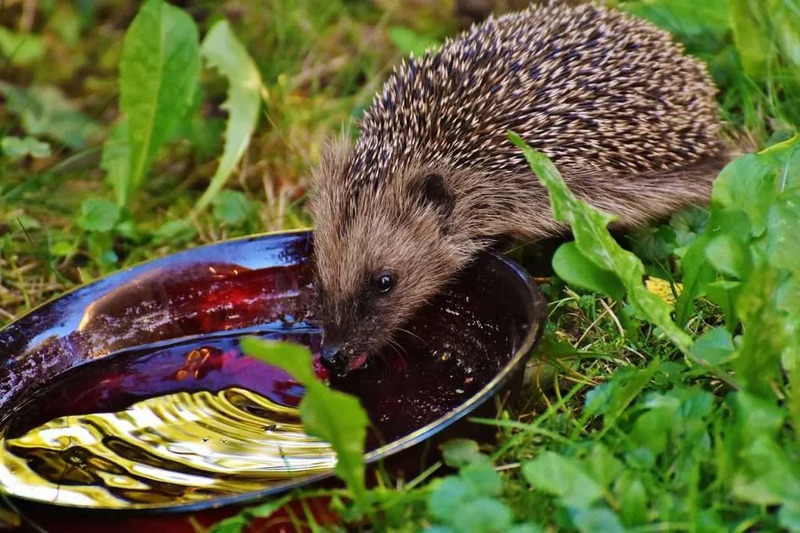 It is sometimes said that hedgehogs will not eat slugs as they taste too bitter (especially the Spanish slug). But this is not correct. Slugs are protein-rich and one of their preferred foods. Hedgehogs catch and roll the slugs with their front legs until they lose most of their mucus and after that become digestible. The following video shows this behavior. As seen in the video, the hedgehog first rolls the slug around and after eating it, immediately searches for more. 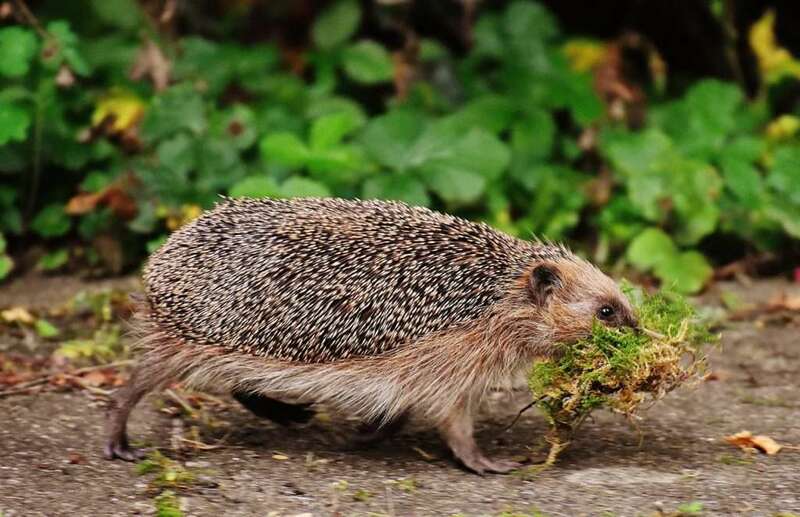 If you use slug pellets in your garden, they will also harm hedgehogs. 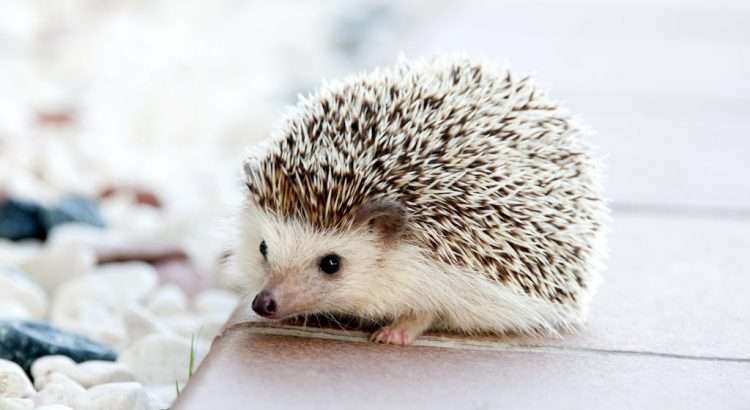 Hedgehogs that eat the pellets or poisoned slugs/snails could die. 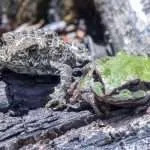 If they only eat a few, they may survive, but will probably lose their appetite for slugs. This is one of the reasons why the use of slug pellets is not a good idea. Click on the link for more information: Why are slug pellets dangerous? Hedgehogs will help to contain a slug population boom from the minute it starts. So, encourage hedgehogs into your garden and create favorable conditions and habitats for them to settle in. Hedgehogs are not native to North America and they are in decline in the UK. Provide access to fresh water. Please be aware that hedgehogs do not tolerate milk. What Can You Do for Hedgehogs? Hedgehogs need a lot of space and an extensive habitat. Only if they find enough food can they survive and settle in your area. One garden alone is not enough. So, do not enclose your garden by fences they cannot get through. Maybe you could add a little doorway (‘a hedgehog-highway’) for them to slip through. As their name suggests, hedges are ideal for these animals. They just love them. If you provide wide hedges, they will find food there and may even be able to build their home inside one. Is It Okay to Feed Hedgehogs? If in spring or autumn food is scarce, then it is possible to feed them. Please do not feed them in winter (November–March). At that time, it is normal for them not to find enough food. Not finding food is a trigger for them to start to hibernate. Hedgehogs like to feed on cat food and they like mealworms. Please do not use fish. Wild hedgehogs do not eat fish and may not tolerate it well. Do not feed bread either; it will make them feel sick. There is hedgehog food available; e.g. from Amazon. More important than food, however, is access to clean water. You could use a deep plate and fill it with water regularly. Even better is an accessible garden pond. As described in the video, make sure there is an area for hedgehogs to get out of the water if they fall in. 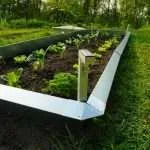 A pond will not only provide water, it will also boost the biodiversity in your garden. 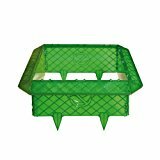 This will help hedgehogs to find sufficient food for themselves. Slugs alone are not enough; hedgehogs also need insects as a food to be able to survive. Hedgehogs search for a safe spot to create their shelter. A good starting point is to create heaps of leaves, twigs and small branches in autumn. Underneath you can create a small, accessible cave with thicker logs of wood. In these shelters, the hedgehogs can hibernate and raise their offspring in spring and summer. 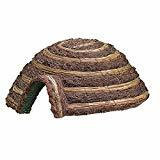 The easy way, of course, is to buy a dedicated hedgehog house. This will provide proper shelter for the animals and protect them from weather and natural enemies. When buying a house, don’t go for the cheapest option; invest in something sturdy and durable. Houses made of cheap composite woods won’t last long, and when they start to rot and mold, they can cause health problems for hedgehogs. A hedgehog house needs a quiet, sheltered location in the garden and should also provide security against cats and dogs. If these conditions are met, a hedgehog will be happy to settle down. In late summer and autumn especially, young hedgehogs in search of a new habitat will try to settle and hibernate in your garden. And if the conditions are suitable for them, they may build a nest to raise their offspring next spring. Hedgehogs can be protected against ticks with black seed oil. If you have hedgehogs in the garden, keep in mind that they can be carriers of ticks, which could become a problem. For those like me, who are especially loved by ticks, I recommend black seed oil (Nigella sativa L.). A teaspoon of oil at breakfast and ticks will not like you anymore. It may not deter all ticks, but from my own experience, I can say that more than 95 percent will be repelled. For me, black cumin oil was like a miracle, as I had previously barely dared to go into the forest or meadow without chemical protection. This is no longer a problem. Furthermore, the oil has many other health benefits. 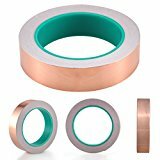 Click on the link for product and price information from Amazon. For example, you could put a few drops into the hedgehog house or, if you feed them, mix a few drops with the feed. That benefits them if used in moderation. If you have any further ideas or recommendations, I would be happy if you would leave a comment below.